Quick and accurate kitchen base unit fixing, replaces metal angle brackets. Suitable for most fitted furniture. Flexible positioning to avoid cable and pipes also allows easy removal of units after worktop has been fitted. Regular for 30 - 50mm gaps. Large for 45 - 80mm gaps. Each pack includes drill bit. Kitchen Unit Space Plug Fitting Regular (50 Pack) is rated 4.8 out of 5 by 8. Rated 5 out of 5 by The ther Geoff from Space plugs Brilliant invention , cannot recommend them enough . Rated 5 out of 5 by Mmnh from Really easy to use So quick and easy to use. Rated 4 out of 5 by PeteCw from KITCHEN UNIT SPACE PLUG Does exactly what it says on the packet. Brilliant, wish I had known about these in the past. 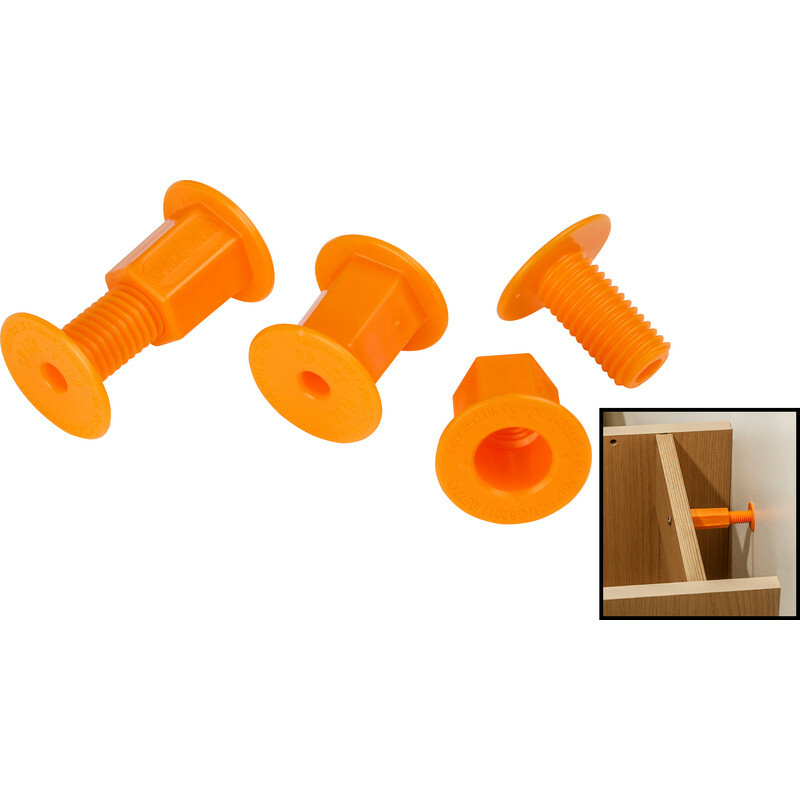 Rated 4 out of 5 by Taylon from Very Useful Product These space plugs overcome the problem of spacing cabinets away from piping and other obstacles behind cabinets. They also provide a rigid fixing of cabinets to the wall. However, the drill supplied is only an impact drill and is useless for drilling into engineering brick found in Victorian houses like mine. Thus the product cannot be used exactly as per fitting instructions. The impact drill supplied can only be used to mark the hole in the brick wall. Then I used an sds drill to make the hole for the screw plug. Then put the things back together and job done. Rated 5 out of 5 by CeeTee from Space Plugs Great service from Toolstation, good price, and fast delivery, would recommend and use again, many thanks. Rated 5 out of 5 by Rick68 from Great product. Excellent solution for fixing base units. No need to move the unit once you have it set up perfectly, and gives a much more secure fixing than angle brackets.